Far too often, I hear men use the “Bible” and the “role of men” argument to stay completely out of the kitchen and never help their wife with cooking or simply washing the dishes after themselves. The problem with this argument is that, though there are male and females roles in the family, the Bible does not automatically assign the kitchen and cooking duties to females. Such traditions and beliefs are only cultural, without biblical support. Bud the idea that when a man comes home from work, he is to slump on a chair and never put his foot in the kitchen is not Biblical. Such a notion assumes that a woman has nothing to do at home, accept prepare food and wait for the husband to come in. In reality, women who are stay-at-home moms and carry a responsibility to raise and teach their children are often more busier than men at work. Cooking and preparing food cannot be only expected of the women. And Abraham ran unto the herd, and fetched a calf tender and good, and gave it unto a young man; and he hasted to dress it. And he took butter, and milk, and the calf which he had dressed, and set it before them; and he stood by them under the tree, and they did eat. When Jacob had cooked stew, Esau came in from the field and he was famished;… Then Jacob gave Esau bread and lentil stew; and he ate and drank, and rose and went on his way. 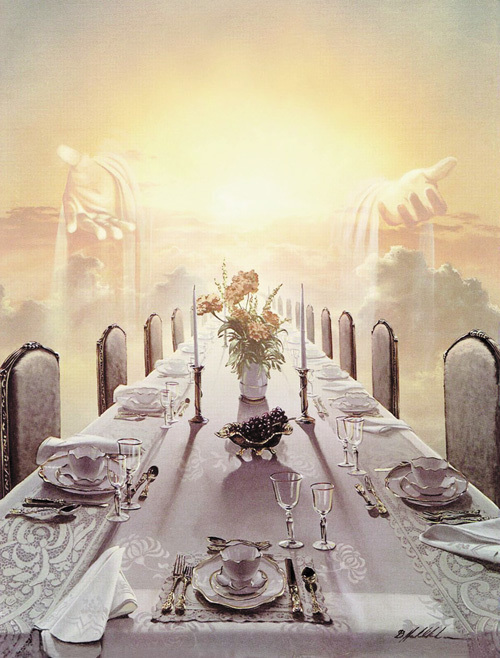 Jesus replied: “A certain man was preparing a great banquet and invited many guests. Therefore, brothers, pick out from among you seven men of good repute, full of the Spirit and of wisdom, whom we will appoint to this duty (to serve tables). and the reproach of his people he will take away from all the earth, for the Lord has spoken. Many of the heroes of faith, the Godly men of the Bible, were shepherds and herdsmen, e.g. Abel, Job, Abraham, Isaac, Jacob, Jacob’s 12 sons, David, etc, and they had many livestock. Some of Jesus disciples were fishermen by profession. If such males in the Bible and plus Jesus and the Father are preparing meals, no man should be ashamed to cook meals for their family! The kitchen is not a place only for females. Now, lets just hope my wife doesn’t read this blog, cause she prepares some VERY good meals. And yes, I occasionally help.